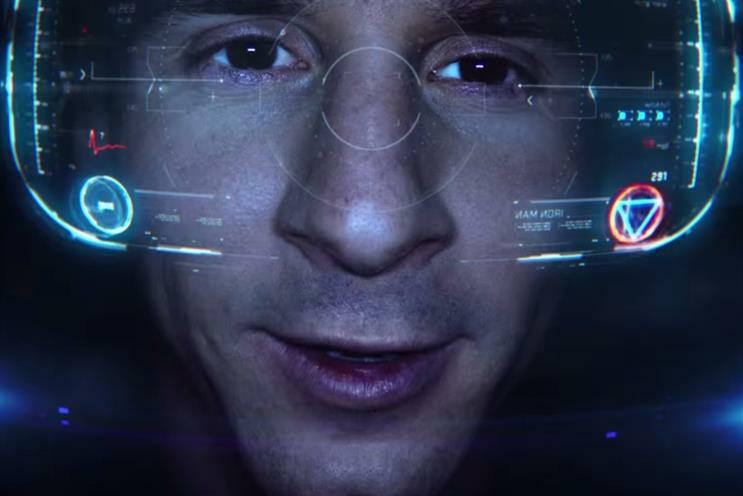 Samsung has teamed up Marvel to create a campaign themed around Avengers: Age of Ultron, turning Lionel Messi, Green Bay Packers' Eddie Lacy, pro-surfer John John Florence and cyclist Fabian Cancellara into the comic book heroes. The two have collaborated on the "We are greater than I" campaign, producing two short films following the athletes, plus two fans, as they train to become superheroes. The two films show the athletes using virtual reality during their training, and Samsung has reproduced the VR experience for Marvel fans. Those with access to a Samsung Gear VR headset can download the Avengers Experience app and try the experience for themselves.